When looking for accurate, unique, optimizing Content for Auto Dealers, our team at Content Motive has your web strategy covered. With our automotive content, we cover a broad range of topics all meant to work within each dealer’s strategy and market. There are many necessary pieces that go into any online marketing strategy for a car dealership, from your website and its design, your inventory management, your ad postings and site visibility, to the content that populates your website. With Content for Auto Dealers from Content Motive, we work with the other pieces of your online marketing strategy to highlight the models and/or services most important to your dealership. We understand how important it is that your different marketing pieces work together, your content included. Recent Google updates have placed an emphasis on website content, highlighting the need for consistent and frequent updates to keep your customers (and search engine crawlers) coming back to your site to help it gain authority and visibility. A bigger emphasis still, however, has also been placed on the relevance, accuracy, and uniqueness of your content. Relevance and accuracy are obviously important in every facet of your website, but having content that keeps your customers on your site and engaged is a key piece of success for car dealer SEO content. Uniqueness plays into this relevance: with repeated content, your customers may not engage with content they could find elsewhere, but with content created specifically for your dealership, your dealer site can become a valuable research source for customers with an increasing tendency to turn online for purchase information. 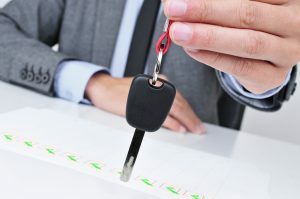 When you choose Content Motive, you can rest assured in being provided with a few key services for successful Content for Auto Dealers. First, every piece of content we provide is uniquely written by a team of writers, tailored specifically to your dealership and your strategy. Second, we work closely with our dealers to set up a content strategy that works within other marketing strategies currently tied to your website. Third, we adhere to search engine guidelines and keep up with trends and changes to search engine optimization, including the heightened focus on mobile and localized search results. To find out what other services Content Motive provides with auto dealer SEO content, how this content can benefit your website, or any other information, contact us today. Give us a call at 877-622-2291 or contact us handily through our website.